We are Annapolis Maryland’s first choice for residential and commercial window cleaning. Our flawless techniques include completely removing grease, dirt, grime and all spots inside and out. Many of the customers we work with today have been with us since the very beginning. They appreciate our attention to detail, our prompt and courteous service, and our high quality work. With over 15 years of experience, we have perfected our window cleaning techniques to provide our customers with sparkling clean windows. By having clean glass, it will improve the appearance of your home and give it the curb appeal it needs. You will also be shocked with how much brighter your home will be inside and out. Top Rated Window Cleaning Annapolis. As homeowners, we understand how important it is to maintain the beauty of your home and how long the list of to-do’s can be. Allow us to help you check window cleaning off your list. Our team is quick and ready to work. We will get every window clean, even the hard to reach ones. 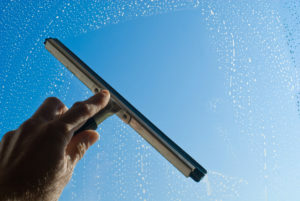 For clean windows year round we suggest getting them cleaned twice a year. Call us to learn about our multi service discount pricing. When it comes to business, first impressions mean everything. Having clean windows keeps your business looking polished and professional. We can provide weekly, bi-weekly, or monthly routine maintenance services at affordable prices! Contact us today to set up a window cleaning program that fits your budget. If you are in need of deck wash & staining annapolis, let us know to provide you with a free estimate. What sets us apart from other companies is that our customers happiness means everything to our company. 100% Customer Satisfaction Guaranteed. We feel that our attention to detail, professionalism, and exceptional customer service is what helps us to stand apart from everyone else.